Float Valve Trays are composed of punched tray decks fitted with movable valves to vary the tray open area with changing vapor load. 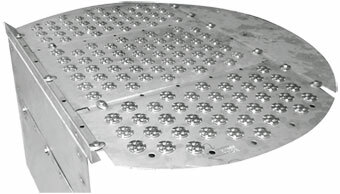 In cases where high turndown ratios are considered, floating valve trays are an option. There are various valve types which may either have legs integrated to the valve disc to limit upwards movement or alternatively the valve disc movement is restricted by a cage fitted to the tray panel. 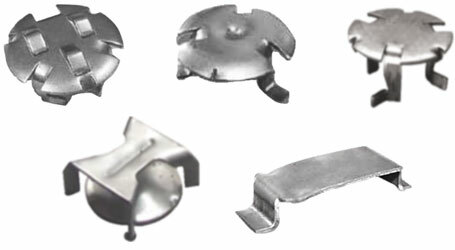 Valve discs/caps are available in both round and rectangular shapes.The capability of floating valves makes these valves can control vapor flow so as a result, they provide better sustained efficiency over a wider operating range than sieve trays.